On the 30th of September, the BBA students with S P Jain, Mumbai were taken on a tour they would remember. The Mumbai Jags experienced something new. They visited the Rochiram T. Thadani School for the hearing impaired, a school in Chembur, Mumbai, built to diagnose, educate, and empower children with aural impairment. Later, the cohort had lunch at Mirchi and Mime, a restaurant with a twist – staffed with individuals who are hearing impaired. On arrival at the Rochiram Thadani School, the cohort was addressed by the Principal, Mrs. Poonam Sawant. She explained to the batch that just providing hearing aids to students was not enough, since there are many forms of deafness. As such, all pupils have to first pass through what she termed as “the heart of the school” – the audiology laboratory. Here the students’ impairment is diagnosed and the right equipment is chosen and customised for them. 28 September 2016 marks a start of a strategic relationship between Singapore Computer Society (SCS) and S P Jain School of Global Management, Singapore campus. On 22nd September 2016, S P Jain hosted Mr. Marcus Alves, for a guest lecture organised by the Corporate Relations team. Marcus is the Vice President, Revenue Management and Training Business, of the Asia Pacific region of Kraft Heinz. He spoke to the students about why Behaviour Economics is really Marketing Science. The launch of the first cohort for the Professional PGP in Digital Marketing & Metrics commenced with 41 student participants and 15 industry patrons gracing the occasion on 19th Sep 2016. The event started with the lighting of the lamp and a welcome address by Dr Raja Roy Choudhury, Director (DMM & RM) & Director DBA, who welcomed the students and introduced the industry patrons. He also gave a vote of thanks to the staff who worked very hard to make the program a resounding success. He introduced the Guest of Honour, Mr Milind Pathak, COO of Madhouse, who spoke of the relevance of Digital Marketing and how a mobile phone is shaping the digital economy. Other speakers included Mr Avinash Jhangiani, Chief Innovation Officer of Omnicom, Amal Purandare, Country head of Arzoo.com, Dr Ranjan Chaudhuri, Marketing Head of NITIE and Sanjeev Sarma, CEO of Osmos Multimedia. Mr Sarma spoke about the importance of competency mapping to understand the current profile of the students and then help them mitigate the gaps and get them job ready across the program. 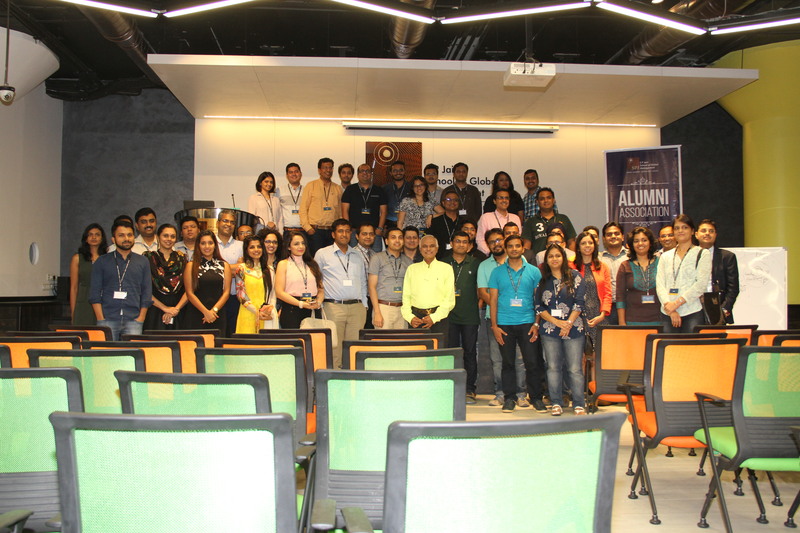 SP Jain Alumni Association recently organised a special event for the first time, “Alma Connect: Knowledge Share Series” held at the Mumbai Campus on Saturday, 17th September 2016. The evening was a great success as we were joined by 50+ alums who joined us along with their spouses as guest participants. The event started with welcome greetings by our Anchor Ms. Gayatri Thampi, an S P Jain GMBA Alumni herself who did an excellent job of hosting the event effortlessly. Dr. Talwar, Assistant Dean Mumbai Campus, welcomed the Alumni Guest and focused on the various opportunities of Networking platforms that institute has planned for Alumni in future to bring all of them together like the soon to be launched an interactive digital portal for Alumni, planning multiple events to connect and grow the relationships and finally spoke about the “Knowledge sharing Series” by introducing prominent and disruptive speakers, which was followed by introducing the Key Guest Speaker Mr. Rajesh Srivastava. The session started with sharing interesting facts, some excellent examples in leadership through an impressive interactive presentation. He shared knowledge about transforming yourself into 21st Century World Class Leaders, keeping all the Alumni participants engaged and motivated throughout the session, session was truly inspiring with Alumni participation in the Q&A session. On 15th of September, SP Jain School of Global Management, Singapore campus, had the honour to have Philippe Pédeboscq, Asia-Pacific Head of Finance, Laboratory Diagnostics, Siemens Healthineers to visit our campus. He was here to give a short introduction of his company Siemens Healthineers, which name reflects the pioneering spirit and engineering expertise of the company within the healthcare industry. The lecture gave a brief overview of Siemens’ business over the last 120 years, especially the on-goings of the past two years. Philippe shared some of the best practices and strategies behind the company’s valuechain. Established May 2014, from the company’s existing healthcare sector, Siemens Healthineers is considered “A company within the company”. Philippe walked us through the timeline of the establishment of Siemens Healthineers independent from its parent company Siemens AG, and shared insights into how Siemens Healthineers is operating and competing in the healthcare industry now. Every semester, S P Jain welcomes a new batch of students to the Singapore campus. With the tri-city campus model, new students arrived at the campus after completing two semesters in Dubai and Sydney respectively. Singapore is their last stop, where they end their twelve months’ journey together. The orientation week of college is all about getting familiar with the institution, the faculty and to socialise. 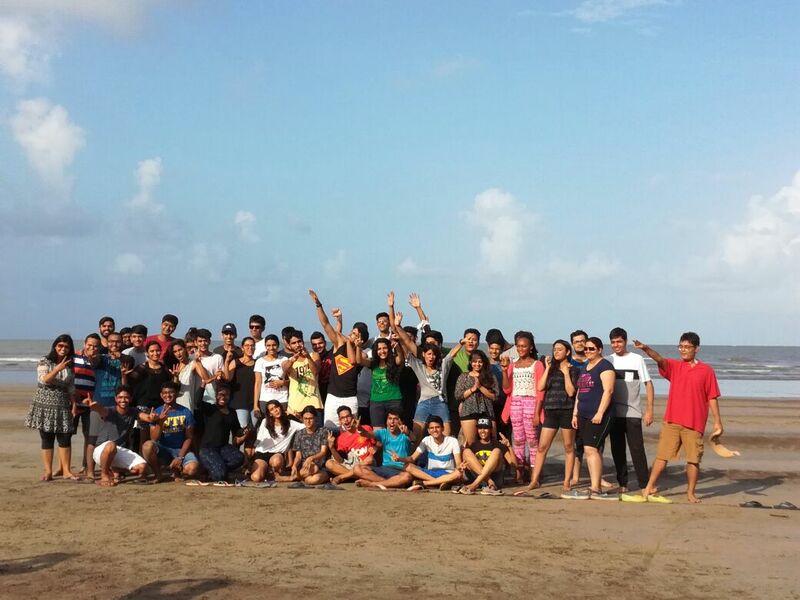 S P Jain planned the Orientation week in a unique way by organising an outdoor trip for the BBA-2016 Batch. Students travelled to Varsoli, 94 km south of Mumbai, en-route Alibaug, and stayed at the Sai-Inn Resort. Their stay was filled with interactive sessions, games and team-building activities. S P Jain’s BDAP analysts are ready to take charge. The event commenced by welcoming the Program Director, Dr. Mahendra Mehta, Mr Rajesh Mokashi, the Chief Guest for the event, faculty members, the brilliant students and guests. Dr Mehta introduced Mr Mokashi to the class and gave him an overview of how taxing yet fruitful the last 6 months were for the students. He was then invited to do the honour of handing out the certificates. Each student looked polished and proud while taking their certificate.